I have to be honest, the thought of visiting Kiev, the capital of Ukraine, didn’t immediately jump out at me. 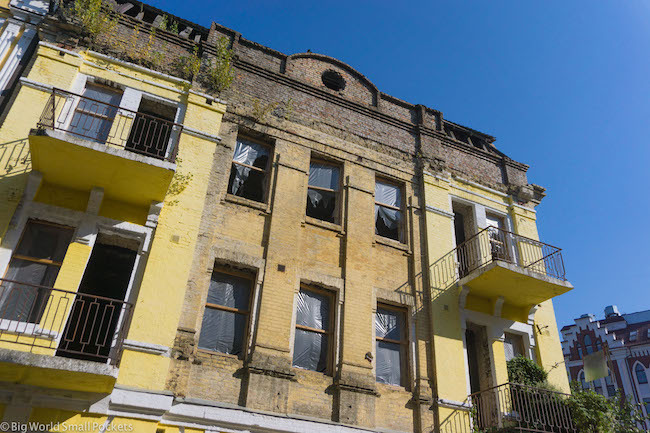 I’ve seen my fair share of ex-communist capitals and while I admire their architecture and find them culturally fascinating, seeing what I expected to be a grey, drab and dull ex-Soviet capital didn’t immediately appeal… funny that! However I honestly could not have been more wrong. Far from visiting what I expected to be a sea of concrete, Kiev feels way more elegant, sophisticated and ornamental that I ever could have imagined. 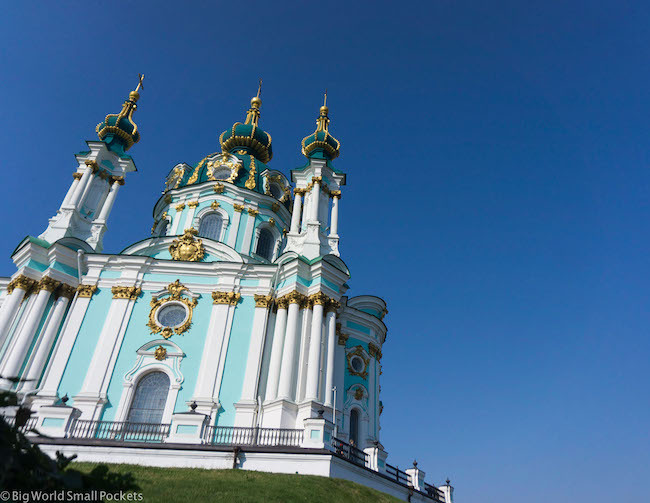 From its green leafy parks, to its clean metro, its glittering cathedrals to its grand statues, Kiev has more finesse and sense of glamour than many other eastern European capitals I’ve visited, which came as a huge surprise. And if you’ve surprised to hear this about Kiev too, then maybe it’s time you planned a trip there too. It is, after all, incredibly well-priced too! In a kind of ridiculous way. 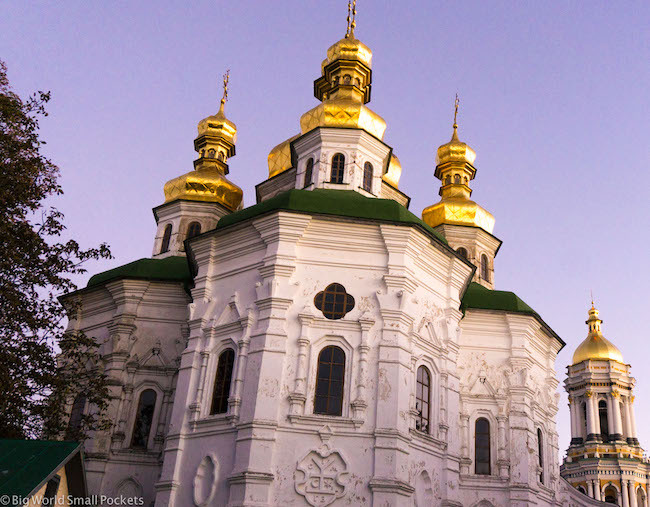 Coming in at number one on my list of the top 13 things to do in Kiev, it has to be visiting some of this city’s spellbinding cathedrals. 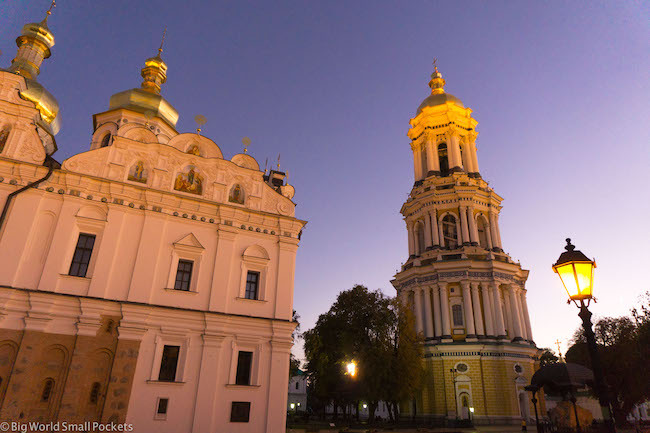 Built in the Russian Orthodox style, there are several grand examples that dot the centre of downtown Kiev and marvelling at their rich gold domes and gorgeous architecture is a must. Top of the list is St Sophia’s Cathedral – the city’s main religious building and adorned inside with some great frescos. 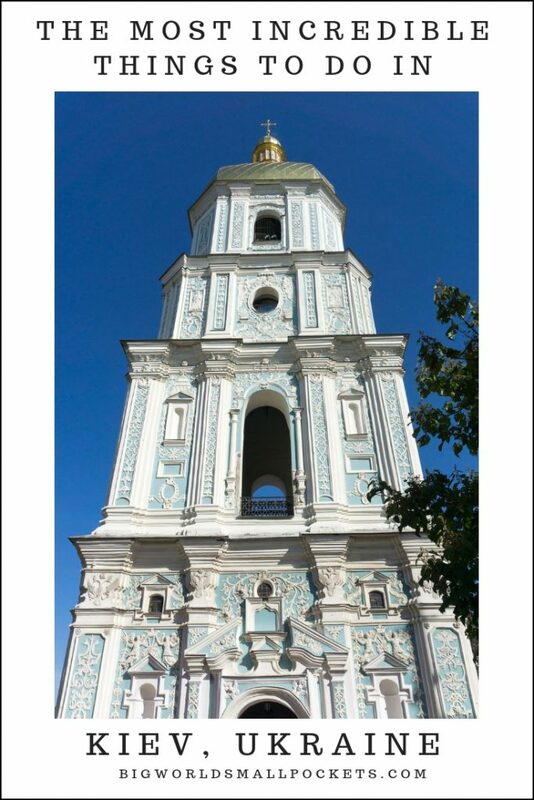 Then there’s St Andrew’s Church, which sits on a hill and offers spectacular views over Kiev. St Michael’s is the third biggest and most famous. One thing you’ll quickly notice in Kiev is how impeccably dressed everyone here is. It’s obvious that the people of Kiev take a real pride in their appearance and this city is great for fashion-spotting, particularly if you’re into a more quirky European kinda style. 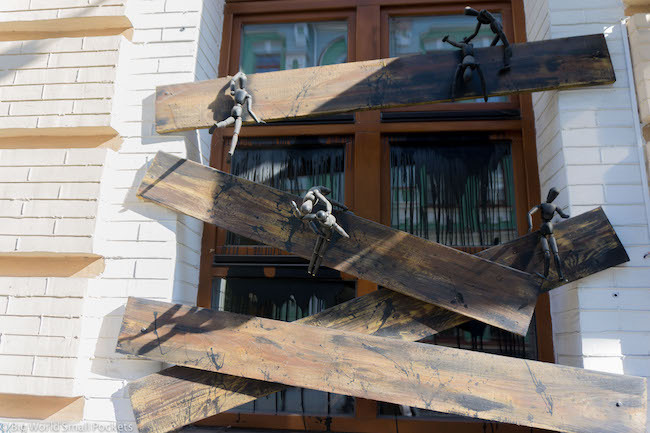 It’s perhaps no surprise therefore to learn that Kiev has many great young designers and that there are several stores dedicated to showcasing and selling their artistic creations. The best example of these has to be Bci Cboi, which is situated on the main street in central Kiev, known as Khreshchatyk. 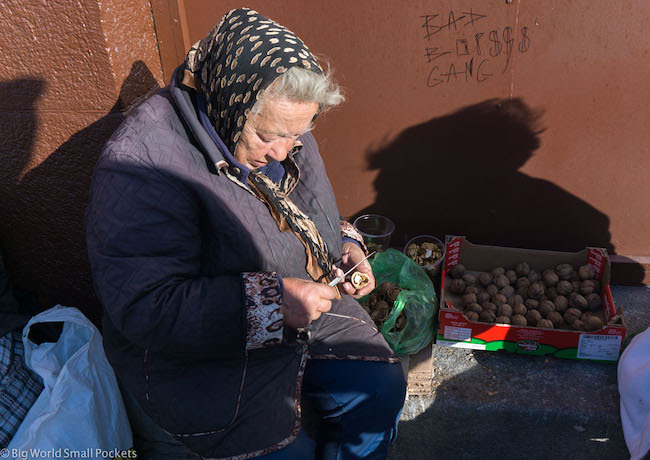 In fact, visiting this street to shop, eat and people-watch, is one of the best things to do in Kiev anyway – particularly on summer weekends when the whole street is made car-free and local buskers come out in their droves to entertain the crowds. Walking down here at this time, you’ll quickly realise how wide many of the streets are in Kiev and coupled with a lack of high rise buildings, this definitely lends a very open and expansive feel to the city that I loved. One of the original gates to the old city of Kiev, wandering to the Golden Gate is one of those things to do in Kiev you need to tick off your list. The structure is impressive and there’s lots of nice eateries and coffee spots around here, including the cute café called Tres Branché which has a great lunch menu. 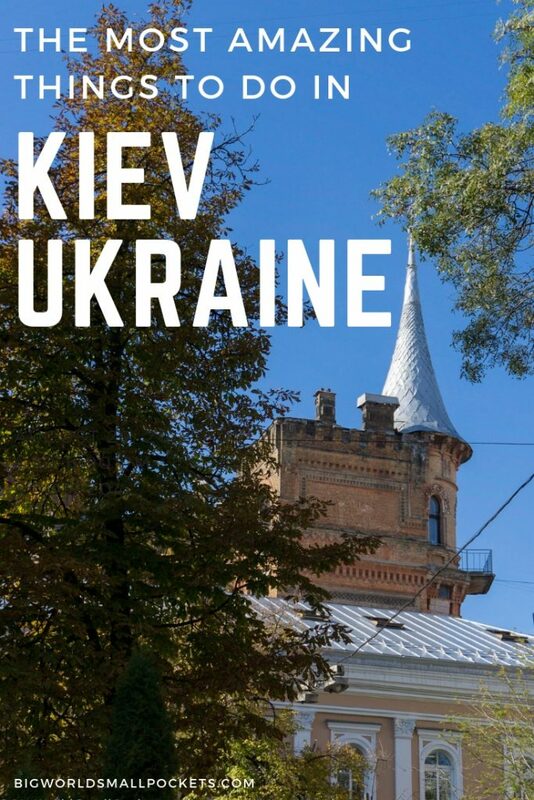 This area of Kiev is a little out of the main centre but is a delightful place to explore with its arty vibe, heritage buildings, great cafes and traditional feel. I’m not 100% sure, but I imagine this used to be a working-class area of the city and has now been regenerated with an artsy, modern vibe. There’s also some great markets here, funky galleries and hidden treats to discover around every corner. With cafes a go-go, it’s coffee heaven too and my pick of the bunch was Holy Beans. 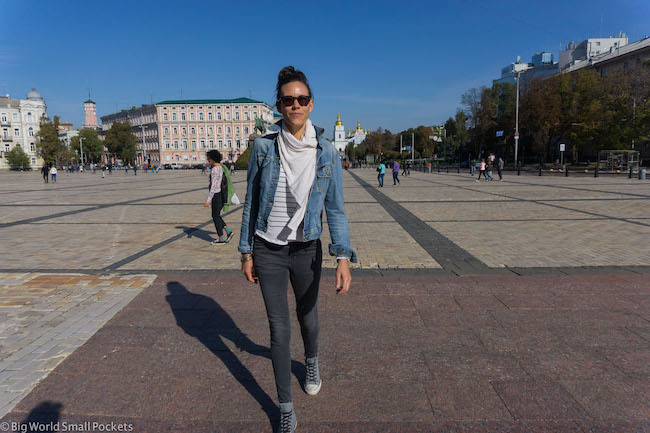 #1 Good Camera – You will be pretty much snapping non-stop during your time in Kiev and will need a good camera to do this gorgeous city justice. I highly recommend the Sony A6000, which I use for all my travels and love, not least because it’s light, compact and robust! #3 Good Guidebook – I’m still a massive fan of the Lonely Planet Guidebooks and do think their Ukraine edition is well put together. Able to save you a lot of money if you want to learn about the history of this part of the world, but not continually pay for a guide, getting the eBook is a great way to keep your luggage weight down too! #4 Good Backpack – And to carry your camera and guidebook, you’re going to need a decent backpack that will help you balance the weight as you walk and sightsee. In my opinion you can’t go past the Bobby Anti Theft Backpack, which is also perfect for helping you avoid pickpockets. #5 Travel Insurance – And finally, at number 5, I wouldn’t go anywhere in the world without proper coverage and always recommend World Nomads as the best option when backpacking Kiev and beyond. There’s no denying poor old Ukraine has had a rough political history, especially in recent times. In fact, since the year 2000, there’s been no less than 2 revolutions and often the action of these uprisings have centered around the main square in Kiev known as Maiden Square. 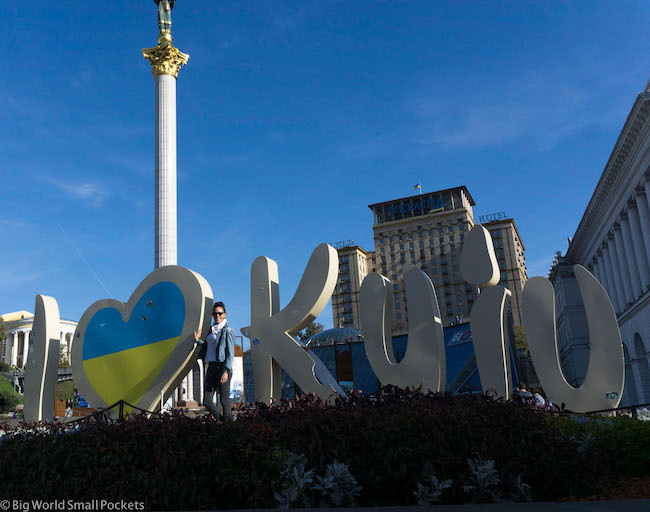 Head here now to check out the Independence Monument, as well as watch the crowds and pose with the obligatory “I Love Kiev” sign. 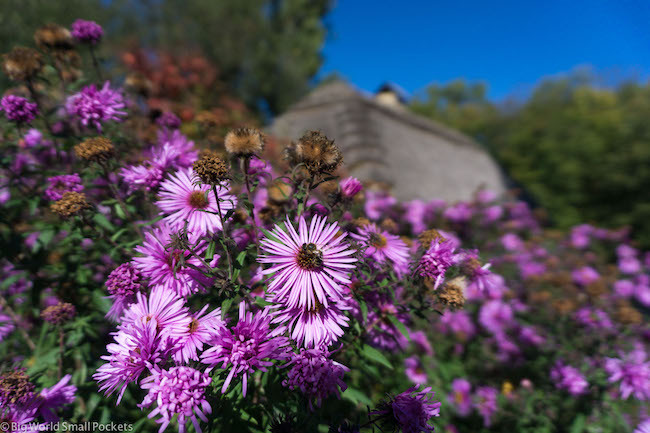 Ukraine is an incredibly fertile country – another fact I didn’t realise until I travelled here and they grow a huge amount of food produce, as well as flowers. As such, there’s tons of amazing markets across the country and it goes without saying that the capital has some of the best. One of the best things you should definitely do in Kiev, therefore, is to explore some of the great markets here. 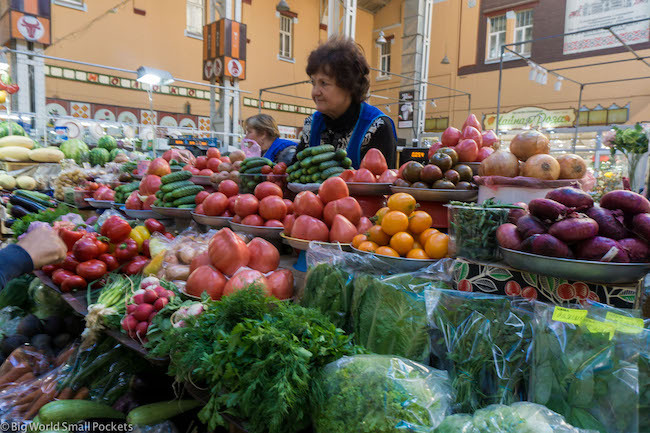 One of my favourites was the Bessarabsky Market, which is located close to central Kiev. Otherwise, there’s lots of informal stalls on the street here too selling local in-season produce. 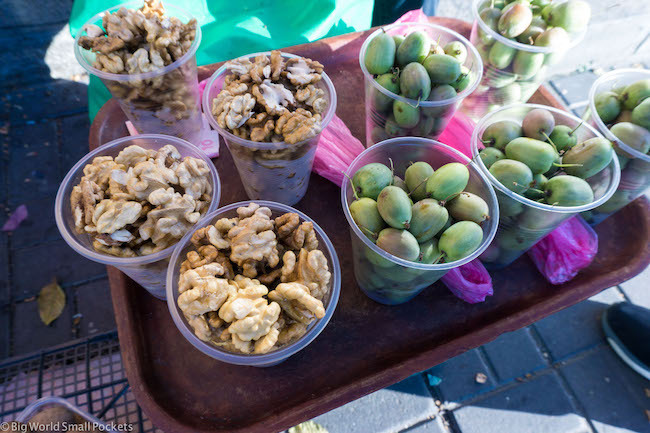 When I was there, there were tons of walnuts on offer and they were absolutely delicious. 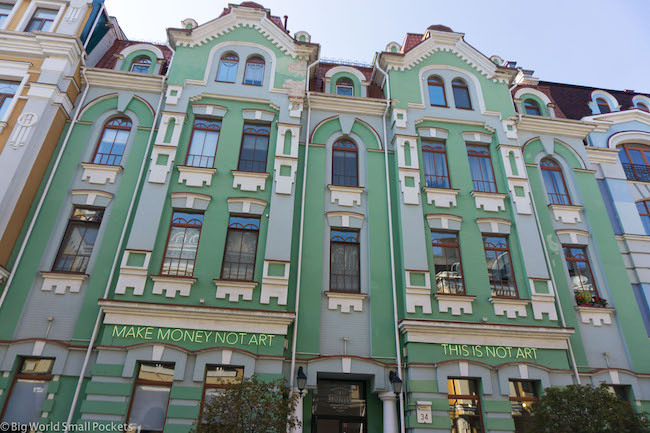 Without a doubt, the best budget accommodation in Kiev can be found at Hostel Factory. As the name suggests, this place is a quirky, low-key joint – but the staff here are so friendly and accommodating that it totally makes it a great choice! My private room was also very comfortable and the price exceptional, plus the guest kitchen and lounge space are a welcome find! 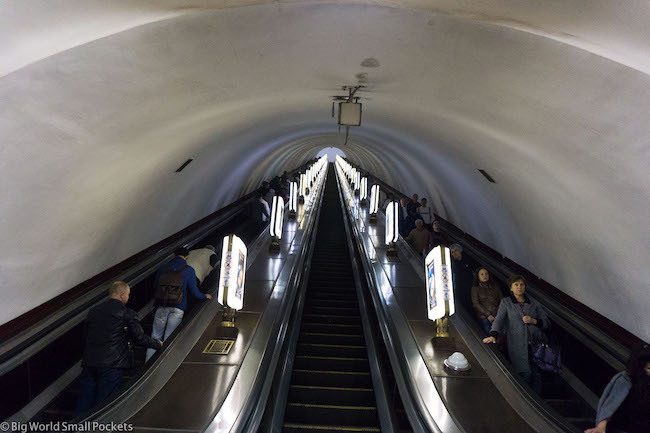 But if you are looking to experience a bit of Soviet Ukraine, then weirdly one of the best places you can head is to Arsenalna Metro Station. This is actually the deepest station in the world at a whopping 105.5m deep. Opened in 1960, it doesn’t actually seem that deep when you step off the train and begin the steep elevator ride up to ground level. However, even with the elevator moving at a good speed you quickly realise it’s going to take you a significant amount of time to reach the top of the first level before you realise that there’s then a whole other level to go as well! I’m not sure if it’s because of the Soviet Era in Ukraine or in spite of it, but there’s no denying that this is a city with a heck of a lot of green spaces. And perhaps coming in on top has to be one of the islands lying in the River Dnipro that divides the city. 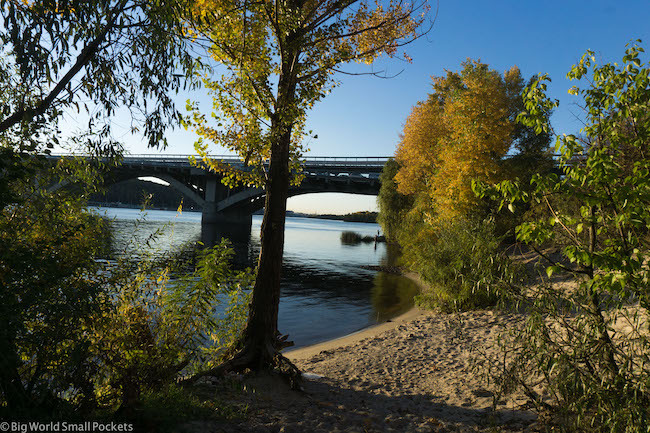 Coming here for a swim in the river with locals or to relax away on some of the island’s beaches is one of the best things to do in Kiev for sure. Ignore the awful fairgrounds when you get off at the metro station and keep walking – it’s easy to find a patch of peace and solitude away from the cheap and tacky parts. Kiev is situated in the east of Ukraine and, as such, is quite far from the other capitals of neighbouring countries. Given this, it’s likely you’ll be flying into Ukraine, which has 2 large international airports. As always, I recommend checking Skyscanner when it comes to bagging yourself the best flight deal. Alternatively, if you’re arriving into Kiev from elsewhere in Ukraine, then this country’s train network is excellent, cheap and efficient. Check out Ukrainian Railways for more info – you can even book online tickets here as I did for my journey from Lviv to Kiev. So fitting with this city’s very classical and sophisticated ambience, is the fact that Kiev has some utterly amazing places to eat. And this is something the locals definitely like to do. But it’s not just all about airs and graces here, because Kiev also has a very authentic and down to earth feel that is represented in its culinary offerings too. For vegetarians, choices can be somewhat limited, but taking one of the many salads that seem to be offered everywhere, along with some vegetable-stuffed varenyky is a great option across the city. And needless to say, Kiev being Kiev, it’s incredibly cheap to eat out here too. One of the best options around, although not necessarily the cheapest, is a restaurant called Kanapa that does traditional Ukrainian food with a twist. 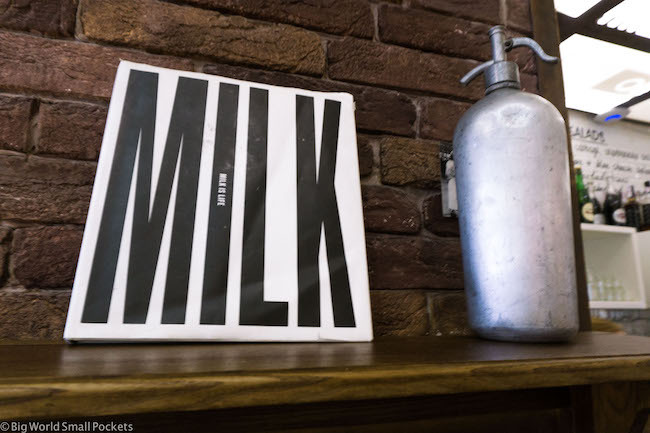 Otherwise, when it comes to more relaxed places with a great vibe – it’s hard to beat local favourite Milk Bar. And of course you can’t have eating without drinking, and in Kiev there’s plenty to drink to! From amazing coffee outlets on every street to homemade vodka in just about every restaurant – pretty much whatever you want to drink they’ve got it! In fact, the food and drink, along with cultural and outdoor spaces of Kiev make this one of the most livable cities I’ve been to in Eastern Europe. Which brings me onto my next point – namely how long should you spend in Kiev? 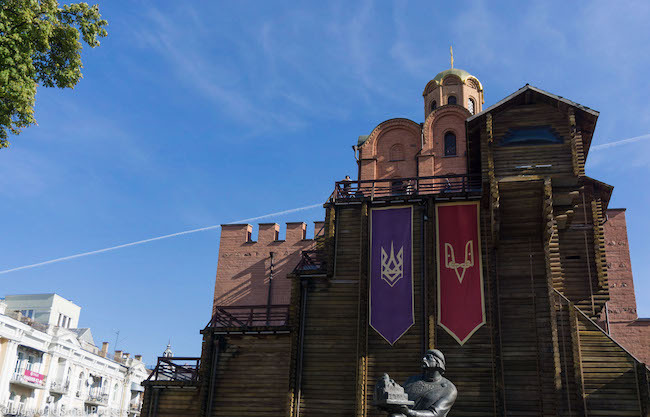 Well, given the size of this city, as well as the amount of things there are to do in Kiev, I suggest allowing at least 3-4 days for your itinerary here. And when it comes to visiting, there’s no doubt that summer is the peak time, but with things getting crazy hot here and many of the city residents fleeing, I’d actually suggest autumn as a great time to visit in Kiev. I spent 5 days in this city in October and with beautiful blue skies and not a cloud in the sky the whole time, it was an epic time to visit. And if you are spending a decent amount of time in Kiev, then you may well be able to day trip out of the city too. While you can head to Chernobyl – it’s a long day trip that involves at least 2 hours+ driving in each direction, which I just wasn’t up for during my time in Kiev. Instead, I opted to go to Pirogovo Park – which was the perfect outing for a sunny Sunday, given I was visiting there with a local family. This large open space is essentially a huge outdoor museum of folk architecture. Sounds a bit weird, but the life-sized model houses here show the diversity of Ukrainian culture across the country’s many regions, which is actually fascinating. 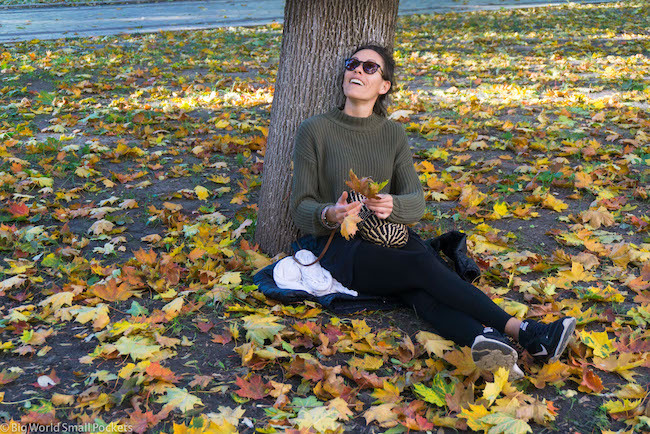 There’s also plenty of opportunities to just stroll in the sunshine, walk through forests, eat local food and generally get involved in a very authentic activity that Kiev residents seem to revel in! 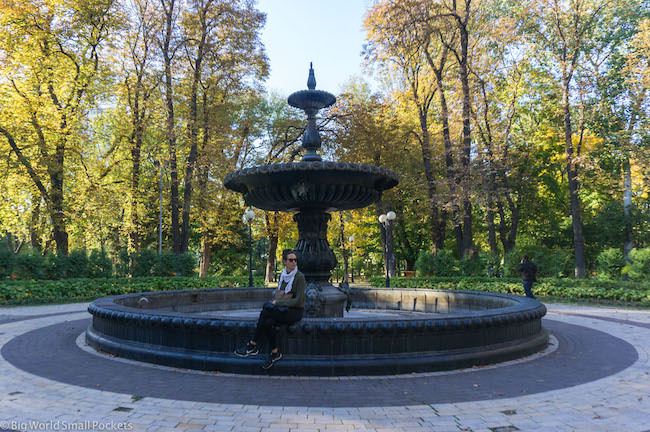 But don’t worry if you can’t make it as far as this, as I’ve said multiple times, Kiev has more green and outdoor public spaces than you can shake a stick at and the hard thing isn’t going to be finding one, but deciding between them. Most popular and with some great views across the river, Mariinskiy Park is an eternal favourite and heading here is certainly one of the best things to do in Kiev. Otherwise, the quirky Children’s Landscape Park along Peizazhna Alley is nice for a stroll and again has some great views. 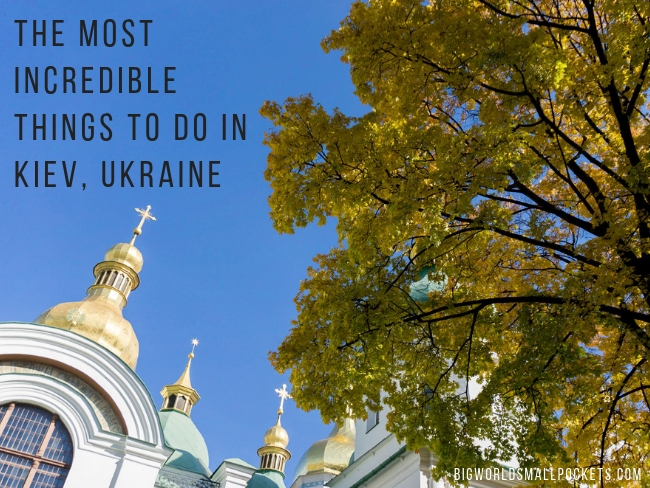 And last, but not least on my list of the 13 most amazing things to do in Kiev, Ukraine is to head to Kyevo-Pecherska Lavra. So there you have it, the 13 most amazing things to do in Kiev, the capital of Ukraine. One of the most authentic and surprising in cities I’ve ever visited, I’d definitely recommend getting this capital on your bucket list soon, especially if the prices are a major factor for you. Honestly, I think I’ve never been to a cheaper European country in my life… and I’ve been to a few! Have you been to Kiev?